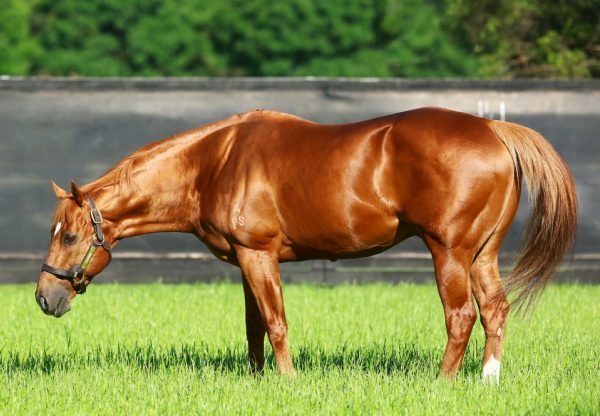 The global nature of racing was highlighted at Sha Tin on Saturday when a British born son of Choisir in Secret Weapon (6g Choisir x Just Devine, by Montjeu) claimed his first Black Type win in the Centenary Vase HK Gr 3. 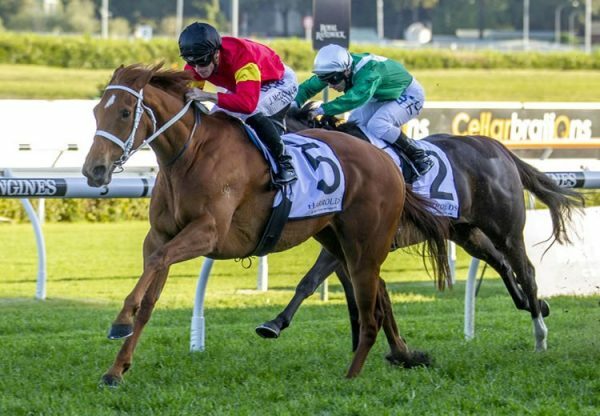 The six year-old gelding has been working his way through the grades for Dennis Yip and relished the slightly longer 1800 metre distance at his first attempt to power clear and win by half a length with Douglas Whyte in the saddle. 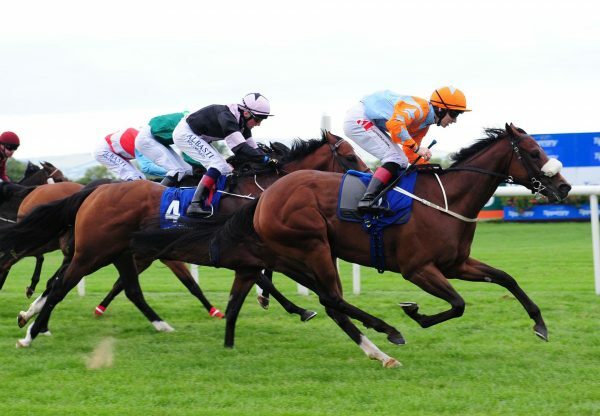 He defeated a handy field with former Australian Group I winner Romantic Touch in second place. Whyte no doubt skipped a lunch or two to ride the 113lb-weighted favourite in the 1800m feature, putting up the allowable 2lb overweight to tip the scales at 115lb, the lightest he has ridden at this season. “Secret Weapon has always indicated that he’s a half-decent animal and I haven’t ridden that weight for a good couple of years, so that should have given the hint,” said the former 13-time champion jockey. “That’s almost seven pounds off to get down to that!” Dennis Yip was thrilled the leading rider was prepared to waste to ride his charge. “When I left for New Zealand to attend the yearling sale I already knew that Secret Weapon would carry 113 pounds in today’s race, and I asked Douglas (Whyte) if he would ride the horse for me,” Yip said. “He spent two days considering it and he eventually gave me a reply, ‘yes, I will make the weight to ride for you’. That Douglas was willing to make the weight reflects the ability this horse has. It was tough for Douglas to ride at this weight but we achieved the result – it was a breathtaking win.” Secret Weapon has the overall record of six wins from 13 starts, five of those wins coming in Hong Kong. 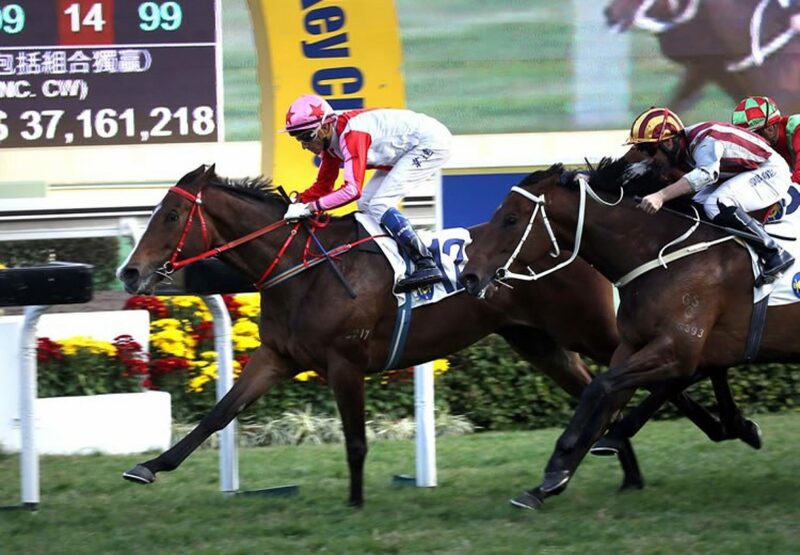 “He is a lightly-raced six-year-old and I hope he can improve further,” said Dennis Yip. 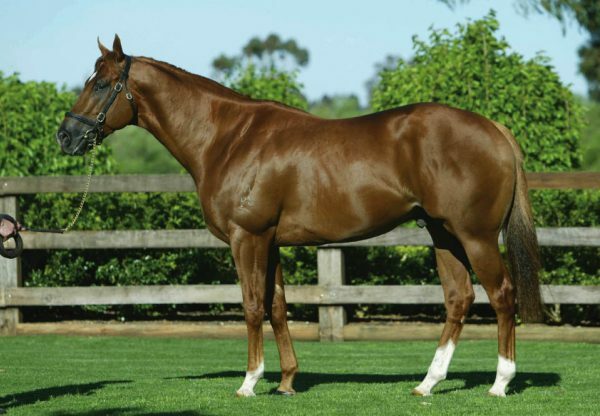 “If he keeps progressing well, hopefully he can run in Group 2 or even Group 1 races in future. Secret Weapon is the 71st stakes-winner Choisir and is a half-brother to stakes-winner Code Red from Montjeu mare Just Devine.